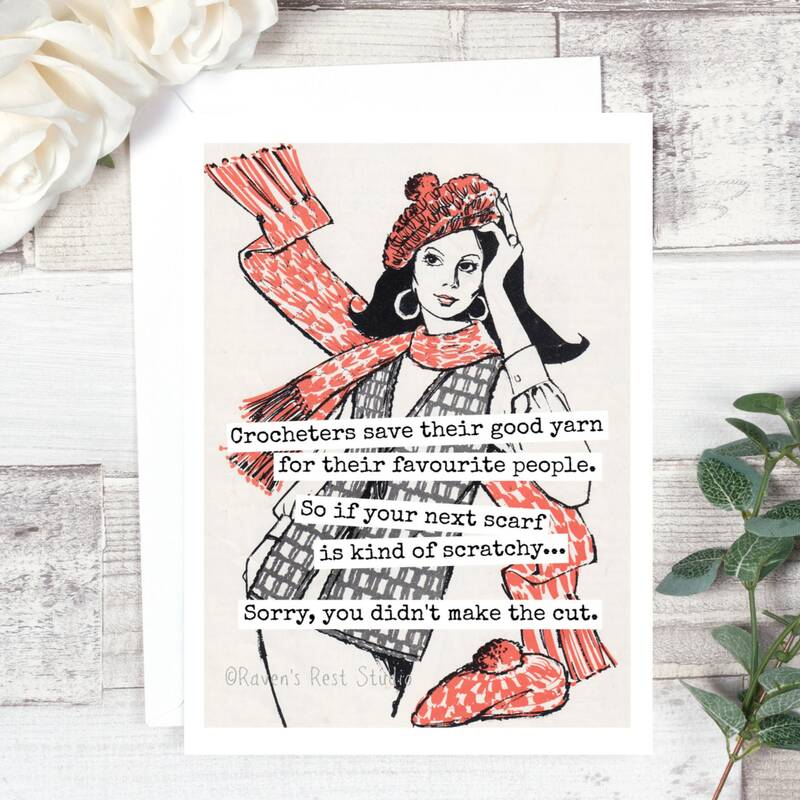 This card features a vintage crochet lover and reads: "Crocheters save their good yarn for their favourite people. 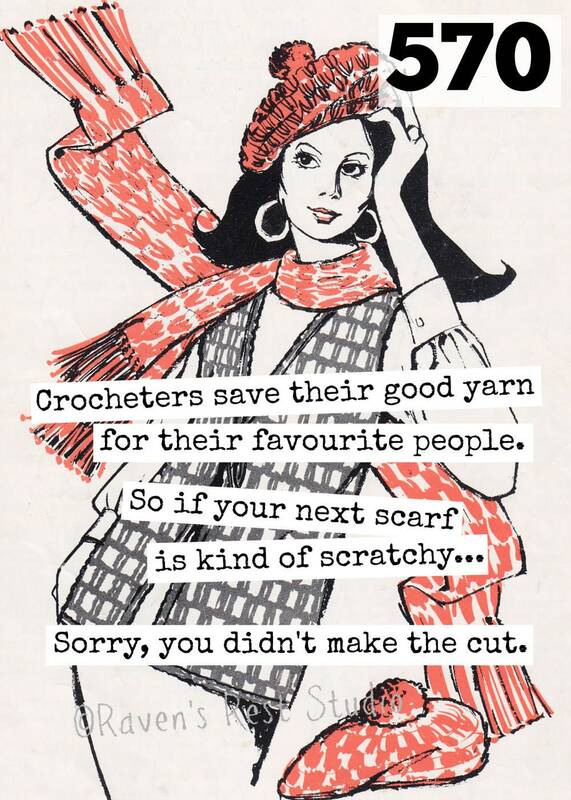 So if your next scarf is kind of scratchy... Sorry, you didn't make the cut."